Our surroundings are always changing. Technology is taking over and continually challenging how people to communicate. Social media is expanding and redefining consumer behavior. Economic growth is typically steady but always demanding. What is not changing though is lighting manufacturing branding. Branding is a marketing practice of creating a name, symbol, design, overarching concept, or all of the above. Branding “marks” or identifies and differentiates a business’ product from other business’ products. With the right branding strategy, branding can give your business a major edge in increasingly competitive markets. The base of your brand will be your logo. For example, when someone sees a big yellow M, they automatically recognize that there is a McDonald’s nearby. When communicating your brand, think about how, what, where, when, and your audience. Think about how you want to deliver your brand message. Also consider the following branding ideas and choose the ones that will be right in the shaping of your company’s success. While having a logo is pertinent to lighting manufacturing branding, the audience may not know what your company offers in regards to your products and what your company believes in. 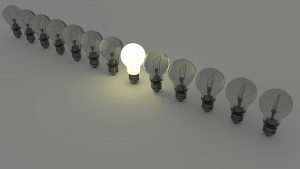 Most people have some idea as to what an accounting firm can do for them but may not know what a light manufacturer can do for them. With the different services that a light manufacturer can provide, it is important to know as a business what you want your audience to know. Thus, firms and businesses need to spend time on their marketing goals and business development. Understand the business’ personal unique goals and challenges. This will help not only your business understand what you have to offer but your audience as well. With this branding tactic, everyone will be able to be on the same page as to what products and services your business can offer. Once you know what your brand is and its personal goals, it will be easier to fine-tune your brand meaning narrowing it down to a specific description of what your business has to offer. For example, Target is not just a general store. Target is “expect more. pay less.” They aim to offer their customers products they want conveniently and at a fair price value. Make your business’ goal as specific as possible. This will help you stand out from similar businesses that offer the same products to their customers. To answer the “what do you do” question, have a reputation for expertise in the industry and have the answer ready to be clearly stated. Being a recognized industry leader lays out a sturdy platform for you and your business when it comes to lighting manufacturing branding. Your customers will be able to look up to your business and value what you have to offer. Once they believe in what you sell, they will most likely be long-term customers bringing in repeat clientele which in turn brings in long term business for you. If the cycle of selling to the consumer stays positive, all you have to worry about is continuing to make them happy. This branding idea advantage will keep your business above others. While it is important to set big goals, setting small goals can be just as effective as well. Developing a vision for your brand is what will help your brand grow in the future but also remember that your brand should be based on reality. Start with your customers. Know their behaviors now and look at how you can improve their satisfaction for the future. For long term goals, look at the overall picture. Look at your business within the industry. Study your competition and evaluate how you can be on top. Also be aware that you should judge your own business on observation and experiential evidence. Once you are in the business, it is hard not to use your own opinions but think outside of the box and judge as if you did not work there. By looking at your business from a different point of view, you will be able to create a brand that will serve the needs of your clientele. Position your lighting manufacturing branding for success by asking yourself questions in regards to your clients. Question what issues are happening in the world today and how these issues affect your customers. Answering these questions will help you identify differentiators on which to build your brand. Make sure that your brand stays true to their beliefs and core values. Do not lose focus as to who you are as a business either. Keep your customers in mind and make your goals relevant to your target audience. Keeping these points in mind will keep the business to customer marketing connection close and it will make you stand out in the business crowd as well. Communication is key within any business. A business must communicate within the industry to ensure everything runs smoothly. A business must communicate with their consumers to ensure satisfied customers. Communication is all around us. Whether you communicate with your audience through a website, emails, newsletters, blogs, or social media, utilize all the communication tools that are pertinent to your business. And by doing this, you will create value and further ensure that people will remember your brand. In conclusion, building a brand for your company is the heart of the firm. Keeping and utilizing all of these branding ideas in mind when crafting and shaping your company branding goals helps build the ultimate plan for lighting manufacturing branding. All of the above branding ideas work together and in unison toward the overall end goal – growing the business while keeping your customers happy and satisfied.